Give your kitchen a cozy rustic warmth with one of the new "Chabbi Chic" Double Bowl Farmer Sinks from Barclay Products. 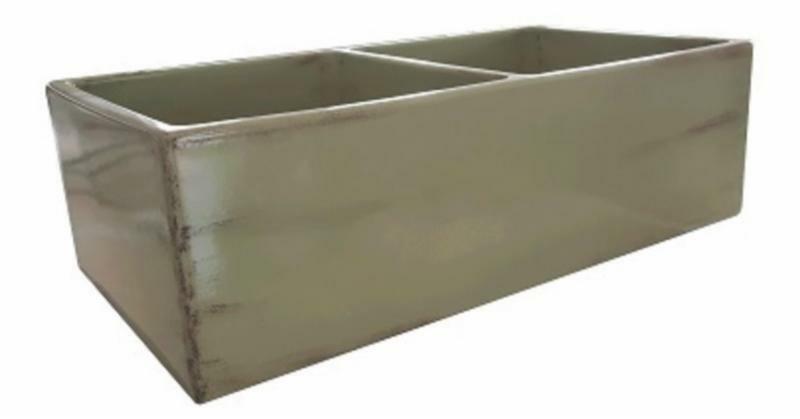 Made in Italy, these fireclay Farmer Sinks boast three "Chabbi Chic" hues: country green, sugar paper blue and yellow straw. The sinks are finished on three sides. Shown here is the double bowl Kinsey in country green. Each bowl measures 14 3/8"x16"x9" with a total outer width of approximately 33", and garbage disposals can be used with these sinks. The "Chabbi Chic" Farmer Sinks are fashionable yet endearing with a country charm.